Forget the popular farmhouse home trend as modern luxury appears to be up and coming. Modern is characterized by the most up-to-date ideas, products, and techniques. It’s about progress and innovation, and it’s happening at Upper East, a new residential development on Lake Hall Road. 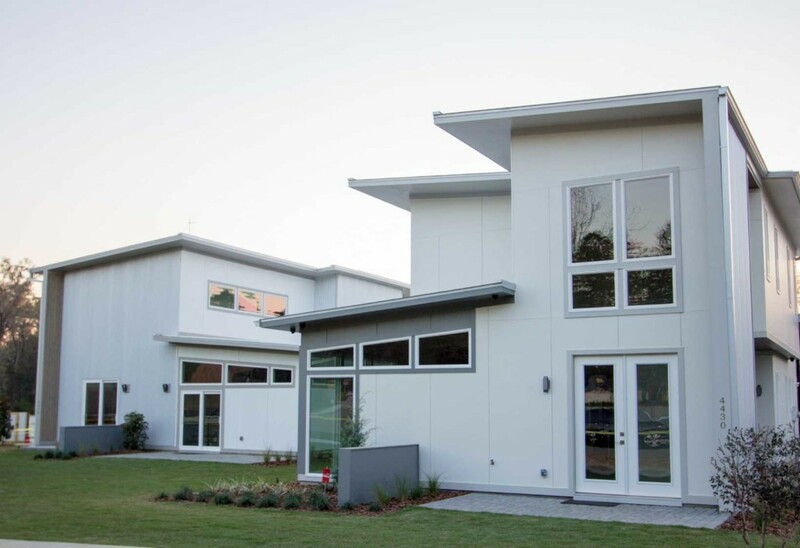 Upper East is the first of its kind in Tallahassee. The subdivision is the culmination of the creative vision of Matt McHaffie of GBGH Construction, who worked with Architects Lewis and Whitlock to create the unique plan, intentionally creating opportunities for homeowners to engage in the surrounding community and upgrade to a modern lifestyle. The homes boast a minimalist design with clean lines and abundant natural lighting, and residents can enjoy nature trails on the adjacent 7.5 acres of reserved conservation land. Modern is not just embodied in the architectural design of Upper East, it is also the developer’s approach when it comes to selecting building products. Educated home buyers who understand the difference and the value of homes built with high-quality products will appreciate what GBGH Construction offers at Upper East. The homes are built with an innovative Zip System developed by Huber Engineered Woods that offers superior protection against moisture and air leaks. Energy efficient features like Pella windows, LED lights, Energy Star products, standing seam metal roofing, and spray foam insulation are standard. Sustainable upgrades like Tesla electric car chargers and the Tesla Power Wall systems are also available and encouraged. “We are proud to set the standard for the future at Upper East,” says developer Matt McHaffie, and that is indeed what he has accomplished. Upper East homes are offered by Stephanie Eldridge, of the Keller Williams Eldridge Home Team, and model homes are open! More information can be found on the GBGH website at www.gbghconstruction.com/uppereast.